By the moment 167 dead bodies have been found in the area of natural accident in key mountain pass in Afghanistan. Some 3,000 people have already been rescued from the snowbound, 12,000-foot-high Salang Pass, which is the major route through the Hindu Kush mountains that connects the capital Kabul to the north. Defence Ministry official Ahmad Zia Aftali said the Afghan side plans to ask the international coalition for additional equipment, including metal detectors, to aid in the search. Hundreds of soldiers and police struggled through huge snowdrifts to clear the two miles of road that had been blocked off when a series of avalanches sent tons of snow and ice crashing down onto hundreds of vehicles along a treacherous stretch of road. Though the road has now been cleared, it remains closed to the public to allow for emergency efforts. The road that winds through the mountainside remains littered with abandoned or snow-packed cars. Separately, three more soldiers have been killed as avalanches swept through their posts in Indian-controlled Kashmir, the Indian army has said. Lieutenant Colonel JS Brar said the deaths occurred late on Wednesday in Siachen, an icy expanse at the northern tip of the divided Himalayan region, as cascading snow buried two military posts. 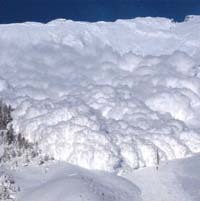 At least 21 soldiers have been killed by avalanches in the region this week. Siachen is the world's highest battlefield where more soldiers have died as a result of the harsh weather than in combat, as India and Pakistan deploy troops at elevations of up to 22,000 feet.